Barry Callebaut, the world’s leading manufacturer of high-quality chocolate and cocoa products, announced today that 44% of the cocoa and 44% of the other ingredients that the Group uses for its products are sustainably sourced. Antoine de Saint-Affrique, CEO of the Barry Callebaut Group, said: “With now 44% of our ingredients coming from sustainable sources we are well on track to make sustainable chocolate the norm by 2025. Through our sourcing, processing and sales, we are driving change, supporting cocoa farming communities and driving the uptake of sustainably sourced chocolate”. Barry Callebaut published today its Forever Chocolate Progress Report 2017/18, listing the progress the Group has made towards its target of making sustainable chocolate the norm by 2025. Forever Chocolate is based on four ambitious targets, to be achieved by 2025, that address the largest sustainability challenges in the chocolate supply chain. Of all the agricultural raw materials Barry Callebaut sourced, 44% were sustainably sourced in 2017/18. The Group sourced 44% (2016/17: 36%) of cocoa beans through sustainability programs. This percentage includes the Group’s Cocoa Horizons program, as well as its customers’ own programs and external certification such as UTZ Certified, Rainforest Alliance, Fairtrade and Organic. Furthermore, Barry Callebaut sourced 44% (2016/17: 30%) of its non-cocoa agricultural raw materials sustainably. This includes the use of sustainability certification schemes for the respective ingredients. 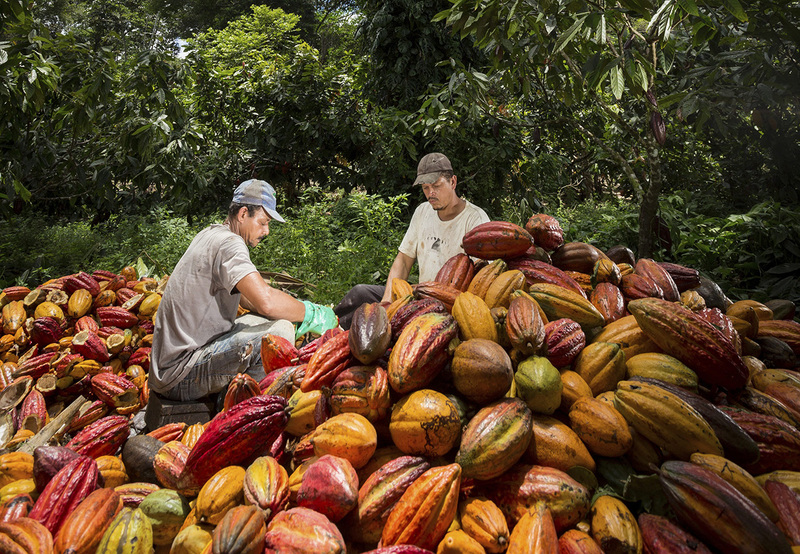 In order to lift more than 500,000 farmers out of poverty, Barry Callebaut announced that it is building datasets with detailed location, agronomic, economic and social survey data on the cocoa farms in its supply chain. More than 130,000 farms have already been mapped. These unique datasets allow Barry Callebaut to ensure that the mapped cocoa farms are not located in protected forest areas. 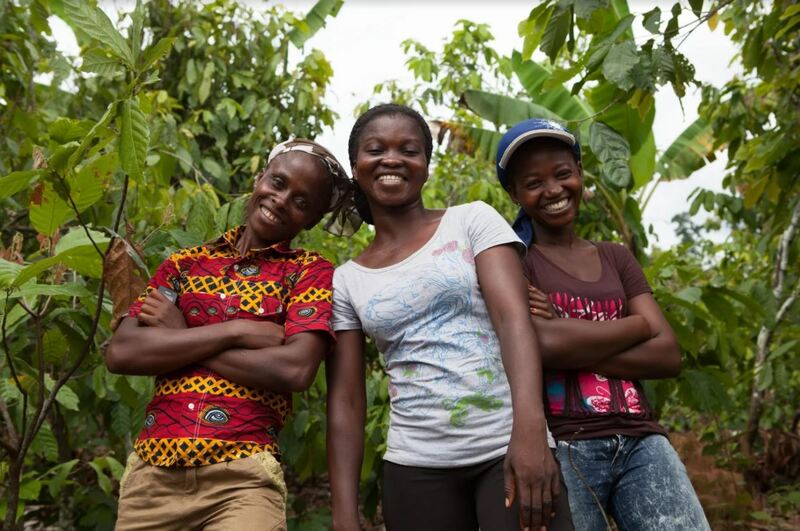 In addition, they allow the Group to create tailor-made sustainability programs to help address the key issues of the mapped cocoa farming communities. As part of its work with farmers, the Group distributed over 2.1 million young cocoa seedlings, as well as close to 400,000 shade trees. 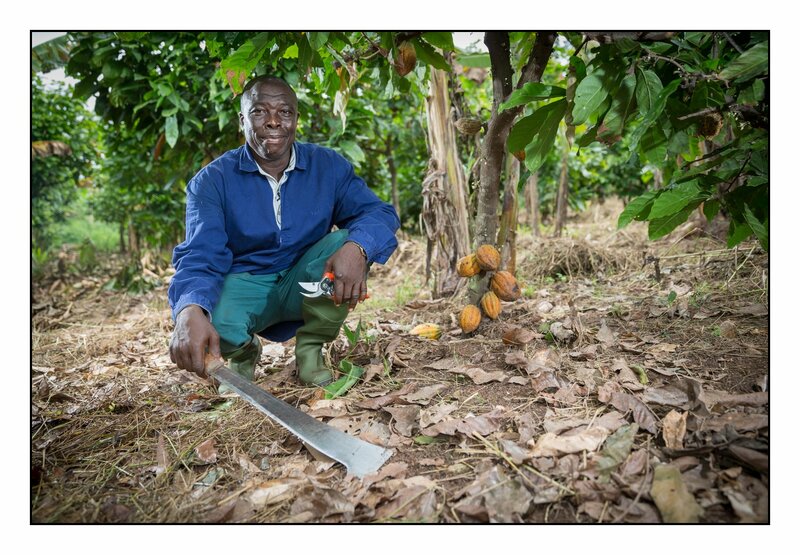 In 2017/18, 12,395 farmers (+113%) in Côte d’Ivoire, Ghana, Cameroon, Tanzania, Brazil and Indonesia participated in Barry Callebaut’s Farm Services business, and received coaching and other inputs such as tools and seedlings or support to access finance. Furthermore, the Group supported cocoa farmers in replanting 281 hectares (+60%) with young cocoa trees, as well as other crops that provide shade, and help cocoa farmers to diversify their income. With the support of ICI, Barry Callebaut continues to implement monitoring and remediation systems designed to eradicate child labor. This constitutes on the ground household and farm visits to survey practices concerning child employment and education in cocoa farming communities. These surveys identify children performing hazardous tasks and allow well-founded estimates of the prevalence of the worst forms of child labor to be made. In 2017/18, the Group conducted monitoring and remediation in 21 farmer groups covering 12,018 farmers in Côte d’Ivoire and Ghana. 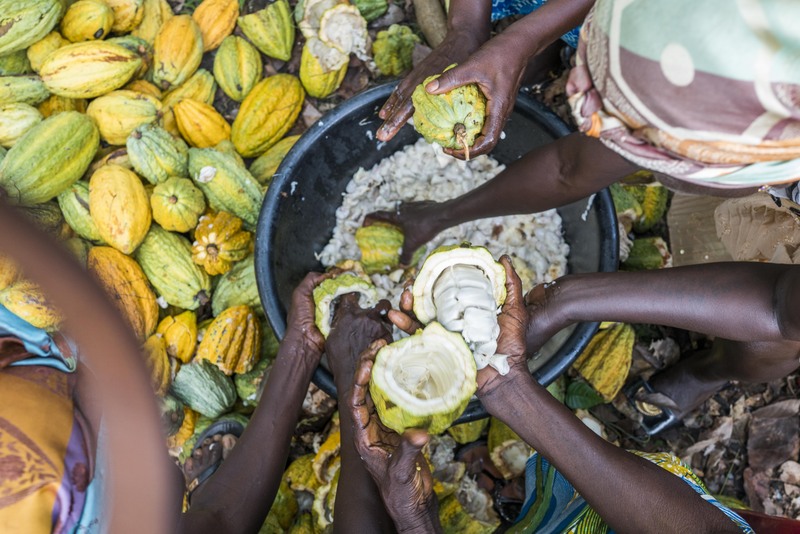 Barry Callebaut established that in 2017/18 12% (2016/17: 3.2%) of the farmer groups it directly sources from in Côte d’Ivoire and Ghana have systems in place to prevent, monitor and remediate child labor. The monitoring uncovered 4,230 cases of the worst forms of child labor, in all cases children working on their family’s farm. This increase is the result of the coverage of a broader range of farmer groups. All the cases of worst forms of child labor the Group found are being remediated. In order to become carbon positive, Barry Callebaut does not only look at the carbon footprint created by its own operations (scope 1) and energy use (scope 2), but also takes into account the carbon footprint of the entire supply chain (scope 3), including the production and processing of all raw materials and related land use changes. The carbon footprint of the Group’s supply chain from farm to customer was 9.1 million tonnes CO2e in 2017/18. This is an increase of +4.6%2 mostly due to an increase in the production of chocolate and cocoa products. The CO2e intensity per tonne of average product slightly decreased to 4.45 tonnes (-1.5%2) in 2017/18, due to energy-saving measures in its factories and transport operations. Of the Group’s factories, 14 out of 59 (24%) are now running on 100% renewable energy. Barry Callebaut has created a heat map to provide an overview of the geographical footprint of the raw materials the Group sources which are at risk of causing deforestation, and require additional safeguard measures, in addition to the safeguards provided by certification. On the basis of this heat map, Barry Callebaut is assessing which additional safeguard measures, such as farm mapping, have to be put in place, to be able to guarantee that the commodities are free from deforestation. Barry Callebaut’s Forever Chocolate progress report 2017/18 and the GRI REPORT 2017/18, prepared in accordance with the GRI standards: Core option, were subject to independent assurance by PwC. 1 ILO defines “child labor” as work that deprives children of their childhood, their potential and their dignity, interferes with schooling and is harmful to their physical and mental development. Activities such as carrying heavy loads, working with hazardous tools or using chemicals are considered the “worst forms of child labor”. 2 Compared to recalculated organizational carbon footprint of 8.6 million tonnes CO2e and 4.52 CO2e intensity per tonne of average product in 2016/17 to ensure an equivalent comparison with the 2017/18 footprint and carbon intensity data. The restated numbers are based on an updated carbon footprint calculation methodology allowing for a change in the weighing of the methane emissions associated with dairy production.